Part 4 of a 4 part block of the month. 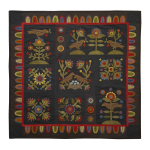 The four blocks combine to make a wall hanging with a finished size of 38" x 38". 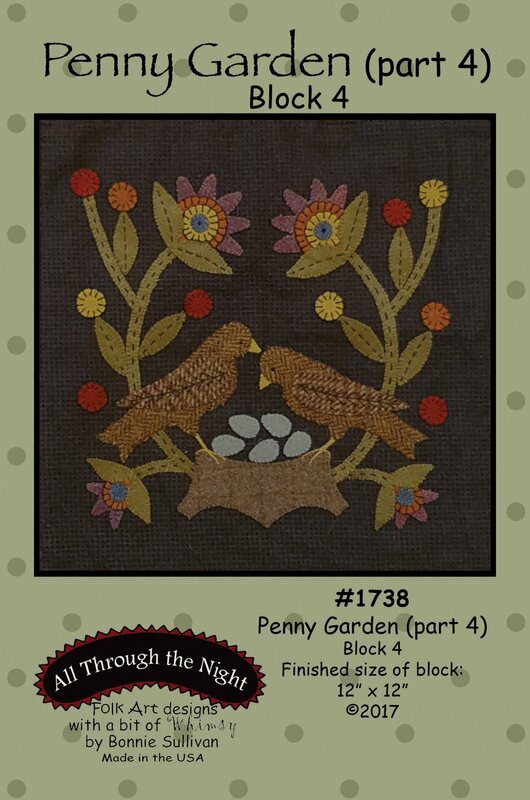 Directions for assembling the wall hanging are found in pattern #1737 (part 3). Alternate directions are given for making a larger flannel version of the quilt that finishes to 56" x 62" and uses the "Penny Rug" line of flannels. Directions for assembling the flannel version of the wall hanging are found in pattern #1738 (part 4).